Kouf launched his keenly anticipated EP ‘The Silhouette’ at the Railway Club last Friday, as opener for Briggs with Sietta. 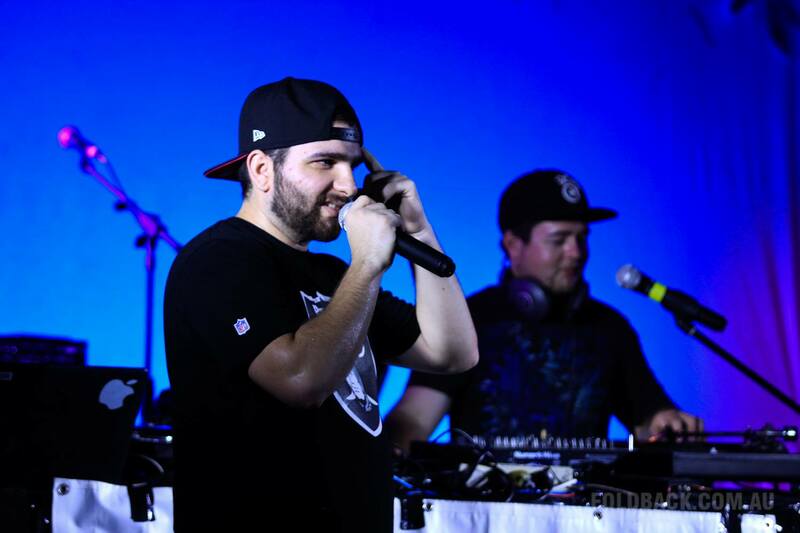 As a young teenager, Kouf started this journey as a beatboxer. He has progressed as an MC to supporting national acts like Horrorshow and Joelistics and playing the Block Party at the Lighthouse during the Darwin Festival in 2013.The Darwin-raised MC’s first offering on CD references his hometown idiosyncrasies on tracks such as ‘Win City’, a soulful, chill and clever perspective on Darwin life for his generation. The city is made flesh and personified as a sort of semi-malevolent deity that needs appeasing through rhymes – a love-hate relationship indeed. Also very chill and engaging is the track ‘And You Don’t Quit’ which is guaranteed to induce thoughtful distant gazes and body sways. More emphatic is ‘Future Dreams’, a narrative on the falsities, bleakness and uncertainty of modern life along with the calming nature of hope. Title track ‘The Silhouette’, like the name suggests, has a dream-like and otherworldly feel, an alter-ego essay on the duality that exists without and within. A lot of thought and a lot of feeling have gone into these tracks, both lyrically and musically.